The Supreme Court will not review a 403(b) excessive fee lawsuit brought against fiduciaries of the University of Southern California’s retirement plan, according to a document from the High Court released this week. Last November, USC petitioned the Supreme Court to review a decision from the Ninth Circuit Court of Appeals. In 2016, Munro v. USC was filed in U.S. District Court for the Central District of California. Plaintiffs alleged millions in plan assets were lost to excessive recordkeeping fees, expensive retail investment offerings, and onerous surrender charges on annuities offered in the plan. USC petitioned the District Court to compel arbitration on individual claims against the plan based on arbitration agreements participants in the plan signed upon accepting jobs at USC. In March of 2017, the District Court denied USC’s motion on the grounds that the arbitration agreements did not extend to claims against the retirement plan because the agreements were signed on behalf of employees, and not on behalf of the 403(b) plan. Last year, the Ninth Circuit unanimously upheld the decision on appeal. The case had the potential to dramatically impact the growing body of claims against sponsors of retirement plans brought under the Employee Retirement Income Security Act. In some contexts, courts have found that ERISA claims are arbitrable. But the question of who is bringing claims—an individual or a plan—has not been fully resolved by courts, Morrison said. “The fundamental question when seeking to compel arbitration is did the plaintiff agree to arbitrate claims. The USC claim really turns on the issue of whose claim this is,” explained Morrison. Under ERISA case law, the question of who is suing—a person or a plan—remains murky. The Ninth Circuit’s decision was the first to address the enforceability of general employment arbitration agreements in the ERISA context. The Supreme Court agreeing to review the question would have been “a big step forward,” said Morrison. The plaintiffs’ original claims will now return to the District Court. Putnam Investments has also requested the Supreme Court review a decision from the First Circuit Court of Appeals. In Brotherston v. Putnam Investments, former Putnam employees alleged its 401(k) plan fiduciaries breached ERISA’s duty of prudence by offering the firm’s proprietary funds, most of which were actively managed. In 2017, the U.S. District Court for the District of Massachusetts ruled in favor of Putnam on the grounds that the plaintiffs failed to show a loss from investing in the proprietary funds. But in October of 2018, the First Circuit partially overturned the lower court. 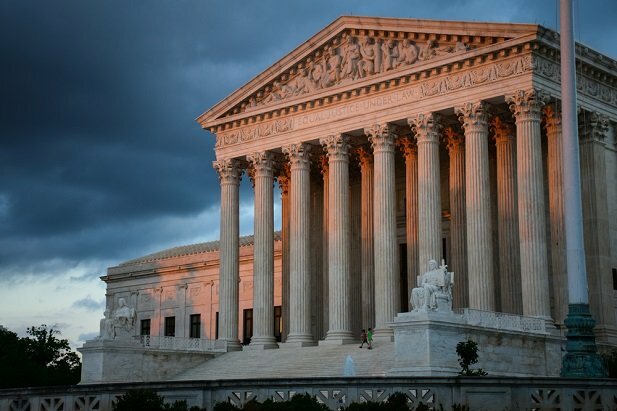 At issue in the petition filed with the Supreme Court is whether the plaintiffs or defendants in ERISA claims bear the burden of proving whether investment losses resulted in losses to 401(k) participants. As was noted in the First Circuit’s decision, appellate courts are split on which party is responsible for proving loss causation in ERISA lawsuits. The First Circuit joined with the Fourth, Fifth, and Eighth Circuits in saying the burden falls on defendant sponsors of plans. This week, an amicus brief was filed by the U.S. Chamber of Commerce, SIFMA, the American Benefits Council, the ERISA Industry Committee, and the American Retirement Association on behalf of Putnam. By shifting the burden of disproving losses to Putnam, the First Circuit compounded the already expensive and difficult process of defending ERISA lawsuits, the amicus brief argues. “What counts as a loss and whether fiduciaries will face the burden of disproving loss causation now turn on where they are sued,” the brief says, referring to the circuit split. If courts can shift the burden of disproving plaintiffs’ claims to Putnam and other plan sponsors, “plaintiffs do not even need to try to show that the fiduciaries’ chosen investments were objectively imprudent and caused losses. Instead, they can simply point to perceived problems in the fiduciaries’ process, compare the portfolio’s performance to their favorite index fund, and then take potshots at the fiduciaries’ attempt to disprove causation,” according to the brief.